We see this not only through the plot, but through the transition between stages. At the end of each stage, the game asks the player a question. Some are seemingly inconsequential (“do you talk to the TV?”), while others had me placing my controller down and going for a cigarette to engage in some self-reflection (“which is more ‘cheating’ — an emotional tryst, or a physical fling?”). While the questions themselves can be confronting, the game actually responds to you when you answer them: a meter appears, a gradient of blue to pink, where a marker will move in response. I found myself absolutely obsessed with the meter — what are the two sides of this dichotomy? Pink and blue don’t give much away (other than blue generally being associated with the “good” side of the moral spectrum, such as in Mass Effect or Knights of the Old Republic). Sometimes, answers that I was sure would tip the meter a certain way had the opposite effect. Other times, the meter did not move at all. The reason why I am insistent and so verbose about this system is that it reflects the nature of reality. If we take a walk down memory lane, I first came across morality as a game mechanic in both Knights of the Old Republic and Fable. The systems presented here deal with morality in broad strokes of the brush — the Lawful Good, and the Chaotic Evil — and both games change key aspects based on which way you lean: Knights of the Old Republic changes the story and its ending quite drastically, while Fable takes it a step further by also altering the player character’s appearance and the way the environment reacts to them based on their alignment. While these broad strokes make for compelling emotional investment from the player, it is often momentary and begins to feel simplistic. This is perhaps reflected best in the first Mass Effect, where the Good approach leaves Commander Shepard sounding like a walking propaganda poster, and the Bad approach leaves one feeling less like a battle-hardened and justifiably ruthless dog of war and more like an emotionally-dulled, sociopathic monster. You may want the character to be reflected as such, and I do think games occasionally don’t go far enough into allowing the player to embrace the Chaotic Evil within, but these broad strokes lack the nuances of morality as a broader concept. In real life, we don’t spend our time purely in black and white — rather, we spend our time floundering through the shades of grey we all become mired in. We are all guilty of something, yet many of us would never endorse ourselves as the Lord of Chaotic Evil. This is the mortal sin of the broad strokes of Good vs. Evil: it can lack the nuance it needs to create immersion. Interestingly, it is two sequels to the games mentioned above (Knights of the Old Republic 2: The Sith Lords and Mass Effect 2) that I feel developed on this broad-stroke approach and gave us something much more nuanced and immersive in their handling of morality. One only has to delve into the philosophy of the Jedi and Sith explored in KOTOR 2 to begin to understand that oftentimes, we judge morality through dogma, and not through outcome (I personally hold the conversations that the player has with Kreia to be the beginnings of my own moral philosophising). 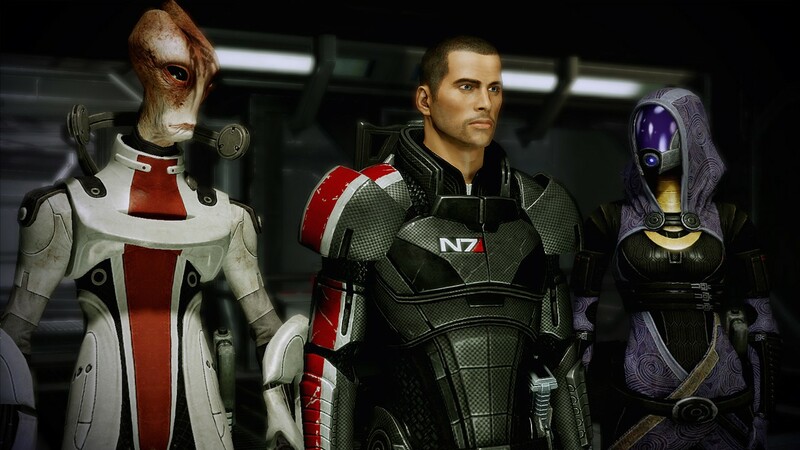 Likewise, Mass Effect 2 repositioned the Renegade side of morality to be that ruthless and self-serving approach to conflict, and the opposing Paragon to be one that attempts to reclaim a sense of self and honour. These systems lead us back to that contraction of real-life morality into a game mechanic — we are mired in shades of grey, yet capable of justifying or condemning both our actions and everyone else’s. 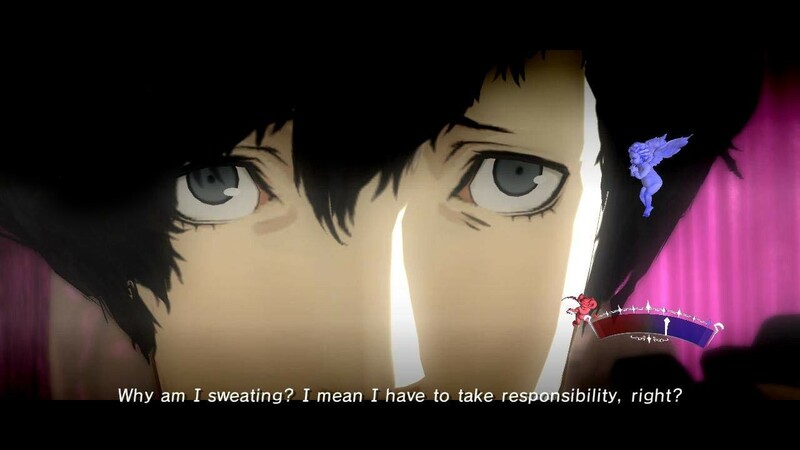 Catherine takes this concept one step further, and the writers created a dichotomy of morality — Chaos and Law. It constantly presents Chaos as the “bad” choice (it’s actually more like “naughty”, but again, I don’t want to give too much away), but it never actually tells us that it is; we’re left to make that association of our own accord, as in real life. 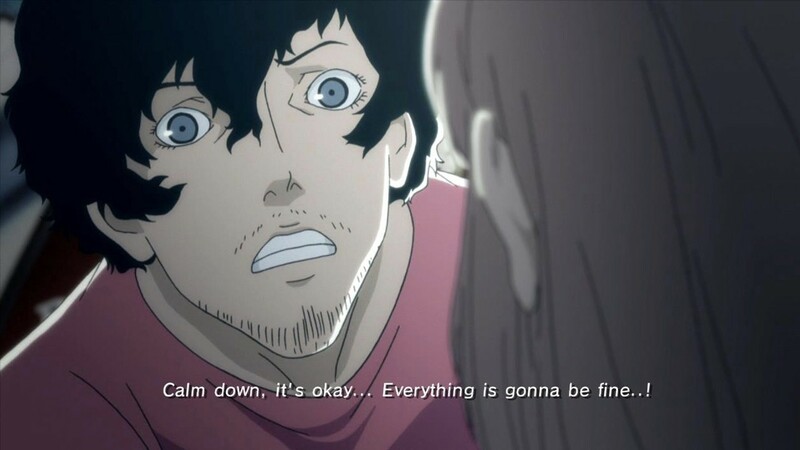 Likewise, Catherine presents Order as the “good” choice, yet there are times when the player feels that the morally good choice is harmful to the parties involved. These shades of grey and contextual moral choices created an immersion that I hadn’t quite come across in a game. I had to think deeply and honestly about the questions it was asking me, and internally began to wonder if I was lying to myself in order to justify what I thought should be justifiable. In the end, Catherine’s story comes full circle with a self-fulfilling ending. The game literally asks if you are willing to live with your choices — a bold move that holds you to your path through the game, and possibly, through life. This is as close to a real-world experience of moral choice as it gets, and that is true immersion.